Whether or not you're an active prop collector, Prop Store's auctions are always a feast for the eyes of any pop culture enthusiast. The catalog for their upcoming Live Auction "Treasures from Film and Television" which is set to take place in London on September 26th was published a few weeks back. From a box of Joker Grenades from the 60s Batman television series to Jeff Goldblum's receding-gums teeth appliances from The Fly (1986) and even Globey, the catalog offers something for everyone. More appropriate for and of particular interest to readers of this blog, there is a wide range of Star Wars material available. Below are a handful of the more significant pieces, along with some that I personally considered to be pretty neat. A marquee item (and the one understandably shown on the cover of the catalog) is an ILM Y-Wing visual effects model miniature from Return of the Jedi. Not much to say beyond that! 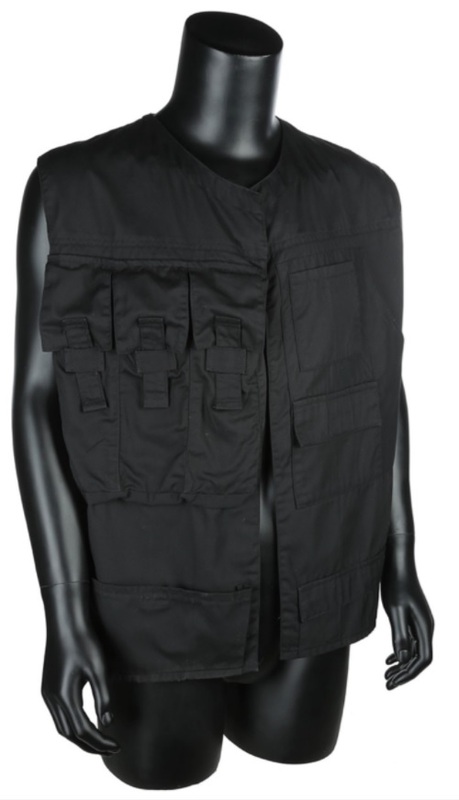 For those into authentic Galactic Civil War apparel, there is a Rebel Fleet Trooper vest from Star Wars as well as a Snowtrooper helmet and backpack from The Empire Strikes Back, among other pieces. 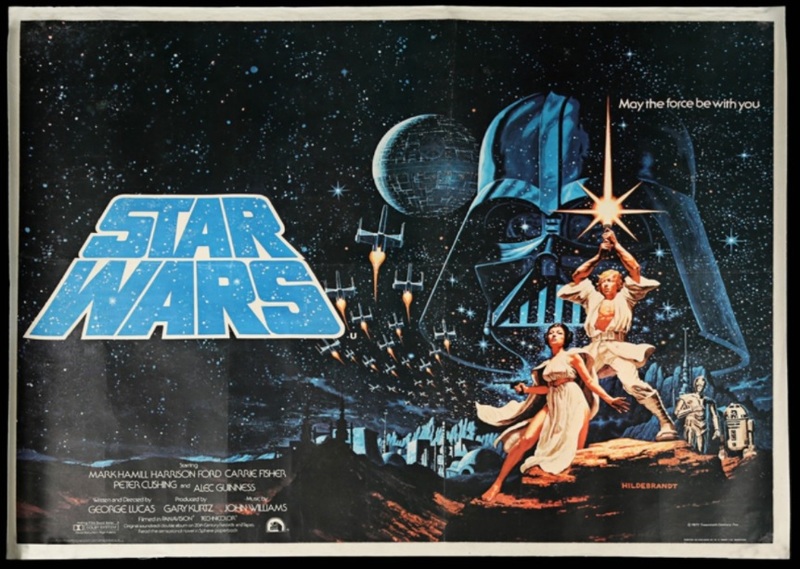 The auction also includes a handful of vintage theatrical posters, the most glorious of which being a U.K. quad poster featuring the Hildebrandt artwork that would be replaced by Tom Chantrell's Style C campaign. 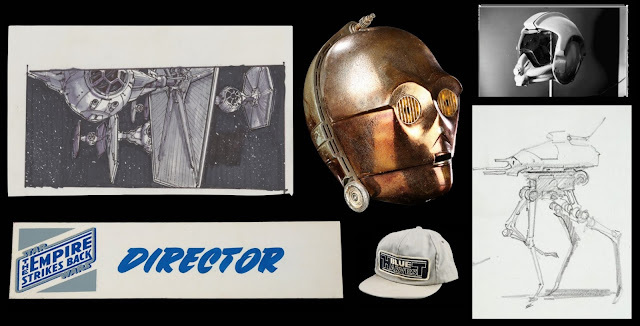 In addition to some familiar cast and crew items and a selection of storyboards, the auction features several unique pieces that caught my attention. 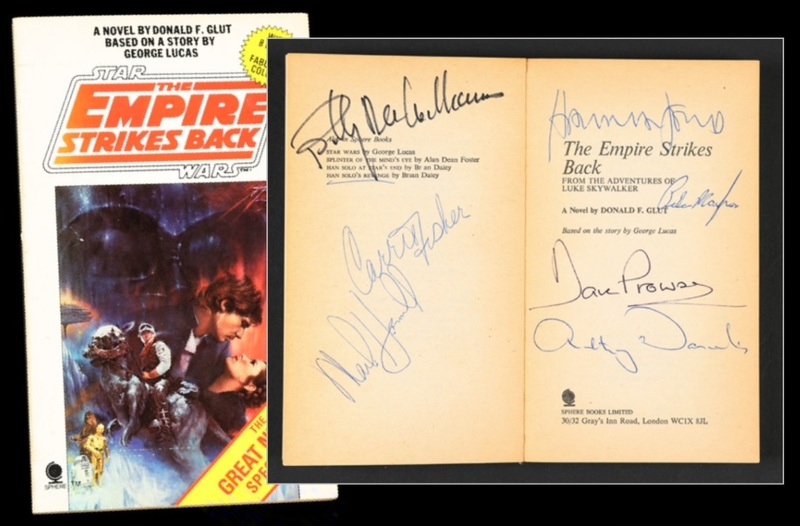 While I'm not an autograph collector, the above copy of the original Empire Strikes Back novelization signed by Mark Hamill, Harrison Ford, Carrie Fisher, Peter Mayhew, Billy Dee Williams, David Prowse, and Anthony Daniels during a promotional tour event at Selfridges in May, 1980 is a nice little artifact of the period where all hands were on deck to generate buzz for the sequel. Seeing how the vision of the original Star Wars actually materialized has always fascinated me. There are so many costumes and props that we all take for granted now, but their tangible existence had to begin somewhere. 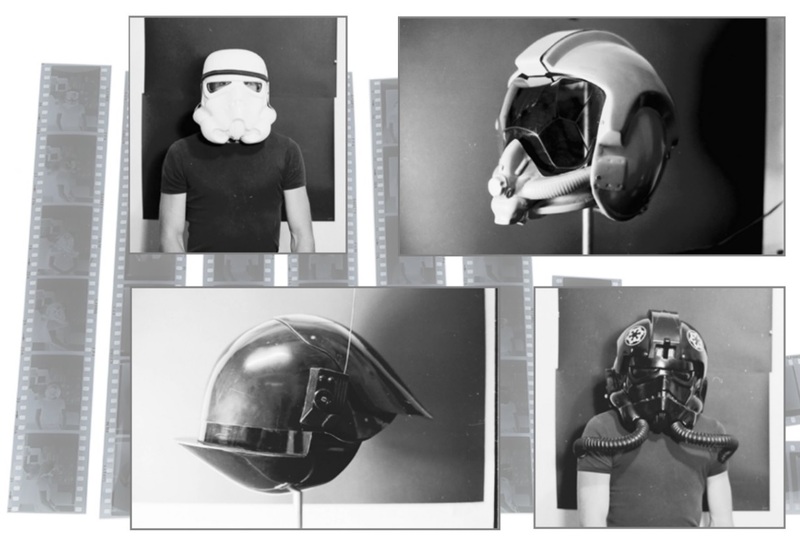 One of the coolest lots in the auction that documents just that is a set of 35mm negatives shot during production that depict early castings of a number of iconic helmets from the film. While some seem to closely resemble the final product, others are considerably different; namely the Rebel Pilot helmet with its mouthpiece that was present in concept art. From an archival perspective, their intrinsic value is substantial. 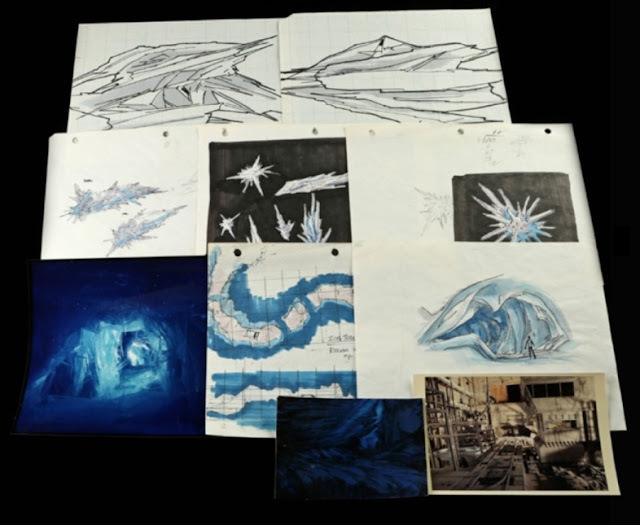 As someone who grew up in Southern California and embarked on many an adventure on the "Endor Express" (well, many of the exact same adventure with a maintained level of enthusiasm), this batch of hand-drawn artwork and model photographs for the original incarnation of the Star Tours attraction sheds light on my favorite sequence of the ride wherein our robotic Paul Reubens captain semi-successfully navigates the Starspeeder through a gigantic comet -- or as noted on one of the drawings, an "iceteroid." Comets? Comets!! 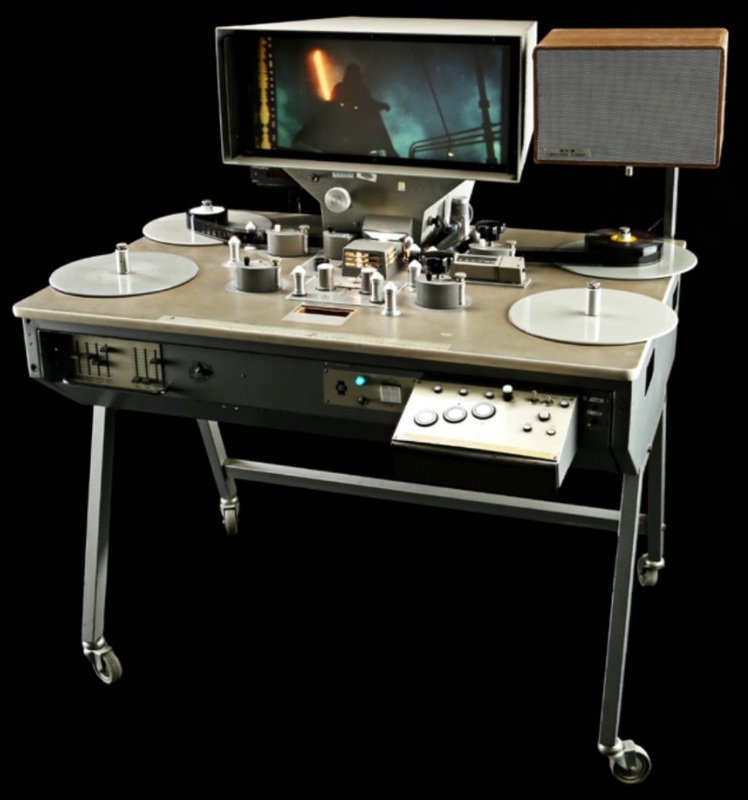 Finally, my personal favorite item in the entire auction: one of a small number of Sprocket Systems KEM flatbed editing tables that was used to cut the likes of The Empire Strikes Back, Raiders of the Lost Ark, Return of the Jedi, and Indiana Jones and the Temple of Doom, to name a few. Some historic celluloid passed through and was ultimately transformed by this relic of bygone technology that Lucasfilm fittingly had a hand in developing. These are merely but a few of the awesome items (Star Wars-related or otherwise) that will be on the block in the auction, so be sure to set aside some time to browse through the entire catalog linked at the head of this post. Furthermore, for anyone living or visiting across the pond, a free preview exhibition of over 250 lots is running at the BFI IMAX Waterloo where the Live Auction will be held on September 26th. As the BFI puts it: "You can watch other people spend huge amounts of cash, whilst you soak up the atmosphere and marvel at the decades of cinematic history in front of your very eyes."